Just when you thought it was already expensive to live, park and eat in the D.C. area, a new study found homebuyers in the D.C. metropolitan area need to have some of the fattest paychecks in the country. WASHINGTON — Just when you thought it was already expensive to live, park and eat in the D.C. area, a new study found homebuyers in the D.C. metropolitan area need to have some of the fattest paychecks in the country. HSH.com, a website that compares mortgage rates, found that people have to make a salary of more than $62,800 to buy a home in the D.C. metro area. HSH.com evaluated mortgage rates and median home prices in 25 of the country’s largest metro areas and determined the salary needed to cover the principal and interest payments on the average home. D.C. ranked No. 20 on the list (with No. 25 as the highest salary). San Francisco requires the highest salary — $115,510,06 — to buy a house, according to the research. The median home price in the D.C. area is $368,000, according to the website. HSH.com used the National Association of Realtors’ fourth-quarter data for median home prices and HSH.com’s fourth-quarter average interest rate for 30-year, fixed- rate mortgages to determine how much money homebuyers needed to earn. Property taxes, insurance and other expenses do not factor in the calculation. “The required salary to afford a median-priced home in the D.C. metro area jumped more than $14,000 between the first and third quarter,” says a post on the website. 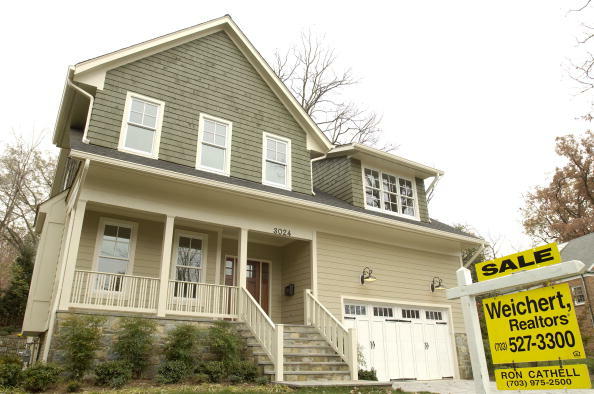 Slower sales led to dip in U.S. home prices in Dec.